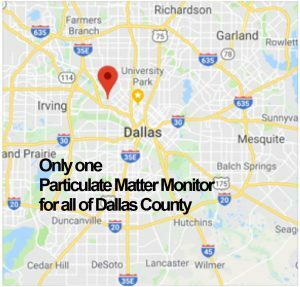 Dallas County finalizes documents for founding a regional air quality monitoring network among local governments – will your city, county, school or hospital district vote to join? 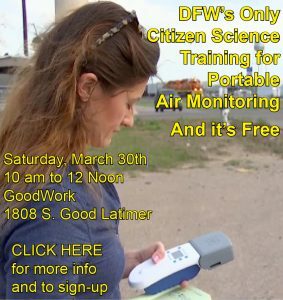 In the same week that Downwinders at Risk and the Dallas Sierra Club raised enough money to buy a full-time stationary Particulate Matter monitor for the distressed Joppa community, Dallas County Commissioner Theresa Daniel announced she was sending out documents vetted by the Dallas County District Attorney’s office for the founding of a region-wide air monitoring network to be administered by local governments. With a working title of “The North Texas Clean Air Network,” the documents propose an Inter-Local Agreement between area municipalities, counties, school and hospital districts to oversee a system of inter-connected particulate matter monitors that insures scientific credibility, uniformity, transparency, and accountability through administration of an appointed board of member representatives. This kind of air monitoring network is vastly superior in terms of time and space to what exists now. Instead of only a few monitors for seven million DFW residents spread out over an area the size of a New England state, it would contain hundreds of locations – none further than a block or two away from where ever you are. And instead of waiting for a reading of what the air was like one or two hours previously, these networks can deliver the information in constantly updating five-second intervals, in real time. The result is a bonanza of data for public health administrators, school officials and urban planners, as well as a new “smart” tool for residents to use in their everyday lives. Planning a run or a walk? Chart the least polluted path. Trying to minimize air pollution from congestion? Tweak the synchronization of your stoplights until you find the timing that produces the least emissions. Track classroom absentee rates to pollution levels and enforce schools’ no idling zones. High-tech low-cost air quality monitoring is one of the most useful applications of emerging smart cities technology. 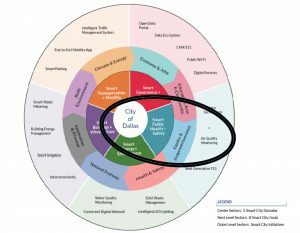 Air quality monitoring’s potential is recognized in Dallas’ “smart cities”planning chart, placing it under both “Public Health and Safety” and “Equity and Empowerment.” The recent fight over new batch plants in the Joppa’s community and the part Downwinders’ portable monitors played in it shows air monitoring is a powerful new high tech tool for citizens. Language in the County’s documents initially includes only Dallas County, City of Dallas and City of Plano since those were the three entities represented when informal discussions began last summer, BUT ALL DFW LOCAL GOVERNMENTS ARE INVITED TO JOIN. Reportedly the documents have already been sent to both Dallas and Plano city halls for consideration and action. In Dallas, it’s expected longtime clean air advocate Council Member Sandy Greyson’s Quality of Life Committee will host a hearing on the proposal in the near future. Given recent events in Joppa, Council Member Kevin Felder is also presumed to be a part of the effort to get Dallas’ to join. 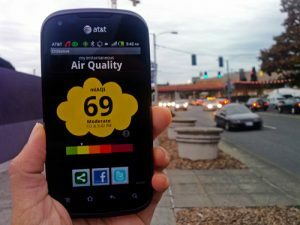 Dense air monitoring networks are being rolled out in many other American and foreign metropolitan areas. Baltimore has proposed a 500-monitor network, Chicago at least as many. Chattanooga has its first ten being built and installed – by a laboratory at the University of Texas at Dallas. Even though it’s had decades of air pollution problems, DFW has been slow to catch-up with this trend. The North Texas Clean Air Network would begin to address that lag with a first wave of 24 to 50 donated monitors…from that same UTD lab, where Dr. David Lary, one of the world’s leading authority on environmental sensor technologies, teaches physics. Dr. Lary’s research was just advanced by a large Department of Defense grant to test small high-tech air monitors under a variety of environmental contaminants for possible deployment in the field. This grant and others is allowing UTD to turn its Physics Department into an air monitoring assembly line benefiting the entire region. That’s why the costs of buying and installing the first wave of DFW air monitors is so cheap. It’s also a reason the public can trust he information they’re getting from the Network as well. Thanks to researchers at the University of North Texas Health Science Center, we know DFW residents are more likely to believe independent third party data about air quality than information they get from government sources. The documents created by Dallas County are only the first step. Like everything else concerning environmental protection, this monitoring network is a Do-It-Yourself campaign. 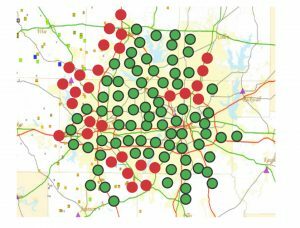 What is the Mission of The North Texas Clean Air Network? 1. Provide the best, most up-to-date factual information about local air quality by supervising the implementation and maintenance of a publicly accessible, secure, and scientifically credible regional air sensor network providing simultaneous real time air quality information from multiple locations within member or contracted jurisdictions via the World Wide Web. 2. 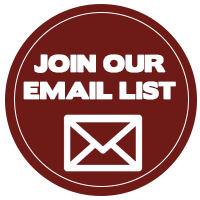 Provide fact-based public education resources on local air quality. 3. Support scientific research on local air quality by local colleges, universities, hospitals and schools. 4. Work with regulatory agencies and entities to further local clean air goals. 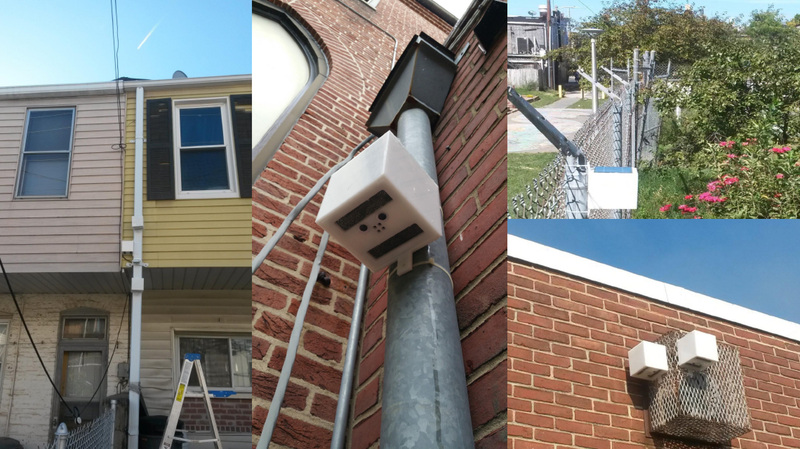 How much would it cost cities and counties to join the Sensor Network? Nothing. Joining is free, and even the first 25-50 monitors are being donated by UTD and other researchers. Only small electrical and internet connectivity costs for each monitorwill be incurred. Who will be on the Network’s Board? How will expansion and operating costs of the Network be paid for? For the first year, the initial wave of air monitors isb eing donated. Future monitors and maintenance will be paid for by adoption of Network installation and connection fees, grants donations., and directed funding from local governments. Who will be the Network’s technical supervisor? Dr. David Lary, UTD Physics Department.